Originally from Inverness, now living and working in the Aberdeenshire area for more than 30 years, with 23 of these years supporting individuals and companies, on all aspects of Financial Planning. One of my areas of expertise is advising individuals and companies operating in the Oil Sector in Aberdeen, from contractors to service companies. This working knowledge has developed over the years from time spent on the ground in this vibrant growth industry. Specialising in helping clients create and secure wealth within the complex legislative framework prevalent in the UK at present. Professionally qualified with a special interest in managing client’s assets through turbulent times, taking strategic and pragmatic positions, maximising available tax concessions where possible whilst creating measurable results. I personally believe that high levels of service along with straightforward communication are key factors in providing financial advice, to existing and new clients. Professional development has provided a depth of experience through a number of demanding positions within the industry from working within large multinational insurance companies, independent adviser firms both in Aberdeen and Edinburgh to running my own Financial Adviser practice in Aberdeen. As a adviser with M3W Wealth Management LLP I am able to put all these years of experience to good use ensuring that M3W clients are looked after in a professional and personal manner. As a father of 3 girls the need for financial planning is as important to me as it is to my clients and my approach and passion for the subject continues to develop as the environment changes. To gain perspective on financial matters, when time allows, I take time out at sea in the numerous sea kayaks I have acquired over the years, as this for me provides that perspective on life and the need to plan effectively for the journey ahead! I’ve been advising clients as an Independent Financial adviser in the Edinburgh area and surrounding vicinity since 1995, with two firms of IFA’s and now as a partner in my own co-owned partnership. I am an experienced Wealth Manager with 18 years track record in all aspects of financial planning. I prize my client relationships, which I put huge store in. As a partner in M3W Wealth Management and as an Independent Financial Adviser, I offer a rounded financial planning service to clients in Scotland with assets in Pensions, SIPP’s, Pooled Equity Investments and other related investments. I have several business introducers within family law firms in the Edinburgh area who refer their clients to me for specialist advice in my chosen niche area, namely Finance in Divorce. In addition I act for referred clients through my accountant connections for mainly owner managed individuals planning to grow their wealth, plan for their succession, or mitigate Inheritance, income and capital gains tax. Away from business I am interested in most sports, having played rugby and cricket for Heriots Rugby and Cricket Club in Edinburgh and age group rugby for Scotland U19 & 21. I am a member of Tantallon golf club in North Berwick and am always keen to play any new course. Brought up in the Far East before returning to Scotland for my education, I have travelled widely, but still love this country and the beauty of the Western Isles and Highlands of Scotland and often holiday on the Isle of Tiree. I have three children aged 24, 17 and 14 and have lived in South Queensferry for the last nine years, where I have my office. My other interests are practical philosophy, socialising with friends and enjoying every moment that life has to offer. I would wish my client relationships to be characterised by trust, honesty and faith in the advice and recommendations I supply, but to be challenged in areas of client uncertainty until matters have been fully explained to their satisfaction. I believe in having any interested party, including other professional advisers or relatives involved in the advice process, so there is a joined up process of advice that does not conflict with other planning already in place. I firmly believe in the value of advice, an ongoing financial planning service to mitigate unnecessary tax, monitoring a client’s assets, and making sure a client is on track to achieve their objectives. With over 20 years in Financial Services, my career developed from the ground up in 1990, achieving Qualified Financial Adviser Status in 1993 and becoming a founding and co-director of an Independent Financial Advisory Firm in 1994 ultimately taking 100% control of that company in recent years. I have always believed in providing an uncomplicated and straight forward, friendly personal service to my clients in the North East, who have responded by referring their family, friends and colleagues to our offices, which I accept as confirmation of my business ethics and open process to what are sensitive and complicated financial transactions. Never has the need for Financial Advice been more acute in my opinion, to secure that property purchase and to protect ones family home and dependants, an area that I have particularly specialised in, as I realise how import it is to clients and the added value and peace of mind, personal financial advice and support brings to such transactions. This is why I believe in Independent advice for my clients, so that my clients get the best deals possible from the whole of the market. With major developments in financial markets in 2013 an executive decision was taken to integrate M3W Ltd. with like minded professionals at M3W Wealth Management LLP, thus enhancing the range and depth of services my clients will need for the future, adding further value to the services we have offered over the years to our valued clients. Proud to be a local Lass, born 5 miles away from our offices in Fraserburgh in the lovely wee village of Rosehearty. I am now the proud grandmother of five grandchildren from my two children who invariably take up a lot of my spare time, which is a great pleasure. I also make some time to regularly visit the gym and thus keep fit and active, although as a busy working grandmother of five, running a business in the financial advice sector, getting away when I can and enjoying Sun, Sea and the small glass of Sangria is important to maintain that healthy work/life balance for me. 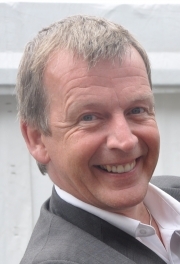 Based in Banchory, situated in beautiful Royal Deeside, Reg has advised personal and corporate clients for over 35yrs; initially as Principal and sole owner of Medical & Professional Insurance Bureau (Scotland), then The Scottish Financial Independence Group. 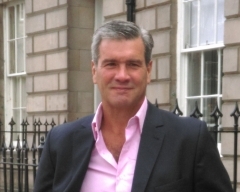 His clients and contacts mostly live and work in the North East of Scotland, with a reasonable number residing, in other parts of the UK and overseas. His early customer-base was predominately formed from the medical, dental and allied professions, and then with the influence of oil and gas in the North East, client profiles spread towards other business categories and related professions. 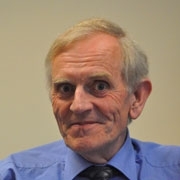 Originally from Edinburgh, Reg joined Standard Life in their George Street Edinburgh Head Office as an administrator/clerk immediately after leaving Liberton High School. A past Scouter, Queens Scout at the age of 15, he is a former racing cyclist and member of the now defunct Dunedin Cycling Club (the very same cycling club that Sir Chris Hoy joined when he was 18 years old). Later, Reg used his voluntary administrative skills to become Treasurer of the Scottish Cyclists’ Union now merged with Scottish and British Cycling. Now very much an armchair cycling fan of Le Tour, and other major cycling events, he occasionally plays golf. Reg leads a fairly balanced life spread across family, meeting and assisting clients, and attending his local Rotary Club where he is a Past President. He is married with one son and two married daughters. Reg states, “The fact that people are living longer and are more active, makes effective financial planning to support this demographic shift crucial. An advisers depth of experience and knowledge adds value to the advice process, so reducing client concerns about financing the years of active retirement ahead”. With so much experience and knowledge to share, Reg feels that he will continue to support clients for years to come as they address the issues of pre and post retirement planning. Many clients have become good friends. Reg says, “My philosophy is to assist clients and friends with financial decisions that may lie ahead. These decisions impact on family dynamics, and long term security considerations, ensuring that they can enjoy the retirement they deserve”. Since the tender age of 17, Denise has been working in the Financial Services industry, gaining advanced qualifications in the pension and investment areas, supporting advisers in the preparation of client’s reports for nearly 20 years, providing a depth of experience, invaluable to clients and firm alike. Denise worked for 8 years in Aberdeen, for a large national advisory firm before returning to the local area, where she lives with her husband and 3 young children. In 2006 she became once again a part of the growing team at M3W where she continues to support advisers on today’s complex advice process. With 3 children under the age of 5, Denise is naturally kept very busy, but also has time to get involved with other mums, in local action groups and community councils to improve facilities for the kids in the area. When she has free time, getting away on her mountain bike is a pleasant relief and when all is quiet a good book is the order of the day! 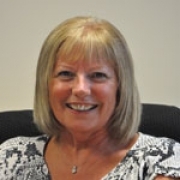 Denise takes great satisfaction in helping in the advice process at M3W, so helping clients to achieve their retirement goals and objectives. This and developing her technical understanding of the pension and investment world brings fulfilment to her working day, where she is a valued and knowledgeable member of the team. As Denise says, “you never stop learning”, and when work and family allow will be adding to her impressive list of financial qualifications. 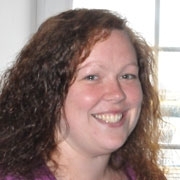 With a HND in Business Management Gillian is well schooled in supporting the business administration at M3W and has been doing so effectively for 14 years. Managing and controlling the processing of mortgage and associated insurance business all the way to completion. Generating great satisfaction by witnessing M3W clients secure their sought after new home. Gillian’s administration and computer skill are highly valued by her colleagues and is seen in the office as an efficient problem solver who quickly gets things done, a valuable asset in any firm! Indeed Gillian is looking to develop her academic skills to further enhance her value to clients and the firm. A local girl, Gillian is married with a 6 year old daughter and lives locally, devoting her spare time to her family and enjoying the picturesque landscapes of the area whilst walking the family pet. 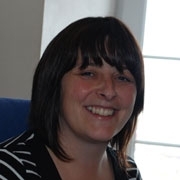 As Lynn Muirhead (Partner), says of Gillian, “Ask and it’s done....at speed!”, which really highlights Gillian's work ethic in the office, an environment she enjoys and thrives within.